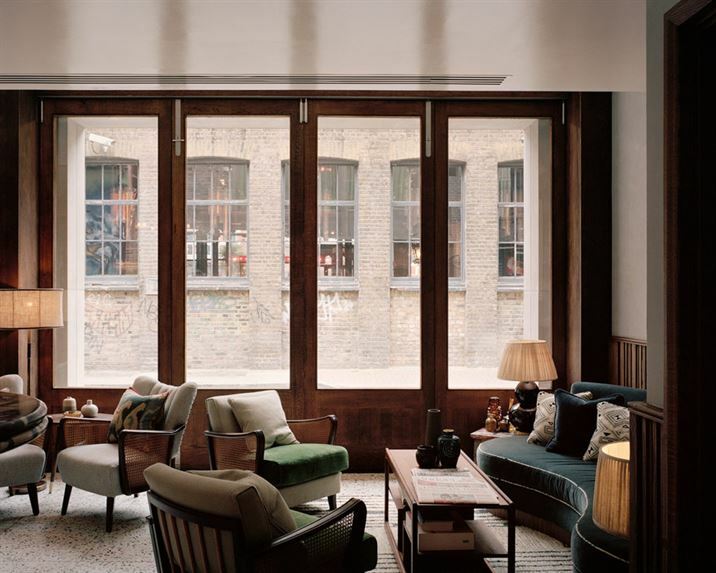 To create Soho House’s Redchurch Townhouse in London, 31/44 Architects stitched together Georgian brick terrace buildings and Victorian industrial architecture. 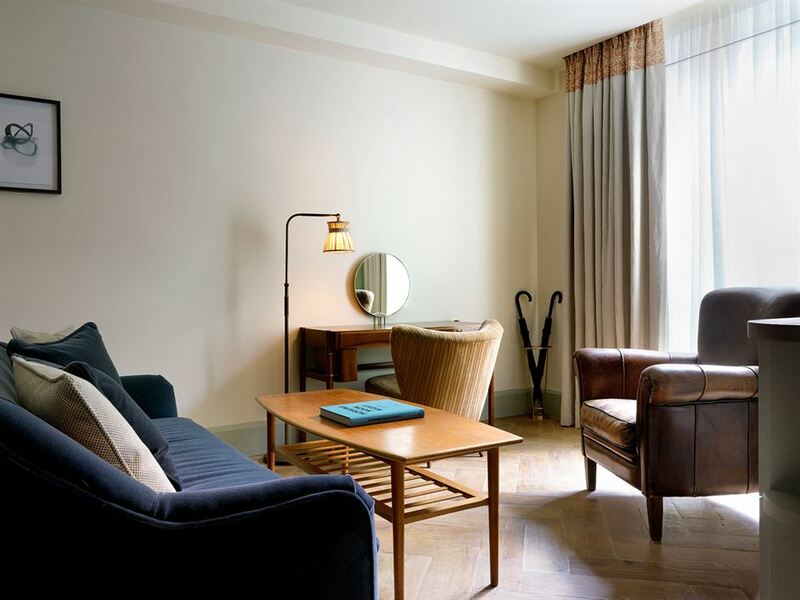 Just around the corner from Shoreditch House, the new outpost offers 37 bedrooms and a Cecconi’s restaurant on the ground floor. The site has been in development for several years. The last stage of transformation was a neglected single-story building that runs from Redchurch Street to Whitby Street. 31/44 Architects retained the original concrete frame, stripping away its bricks, and installing a basement level and two extra floors. “You can still see the ghost of the original building in the ground floor,” says 31/44 Architects co-founder Will Burges. The two sides of the building – which sits on a WWII bomb site – have been designed to harmonize with their neighboring structures. The Redchurch Street facade blends with the surrounding flat-fronted Georgian architecture. On the Whitby Street side, imposing plastered columns run up on the top two floors. ‘It’s a quiet architectural gesture’, explains Burges. 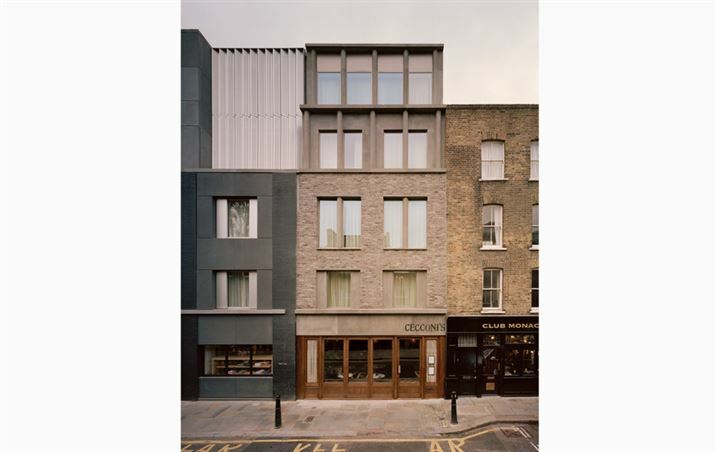 Read more on the dignified transformation of Redchurch Townhouse here.